Women's March in San Francisco on Jan. 21. Photo by Jasper Lyons. 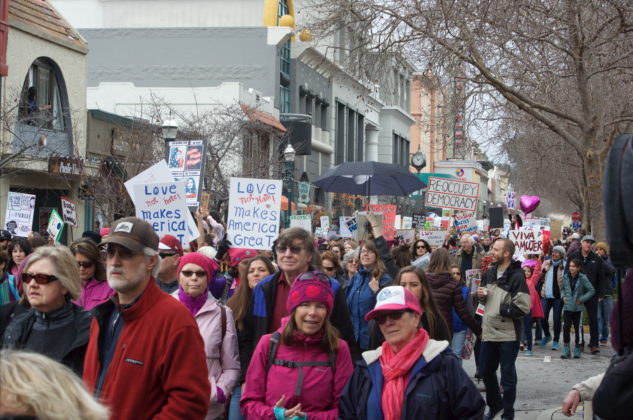 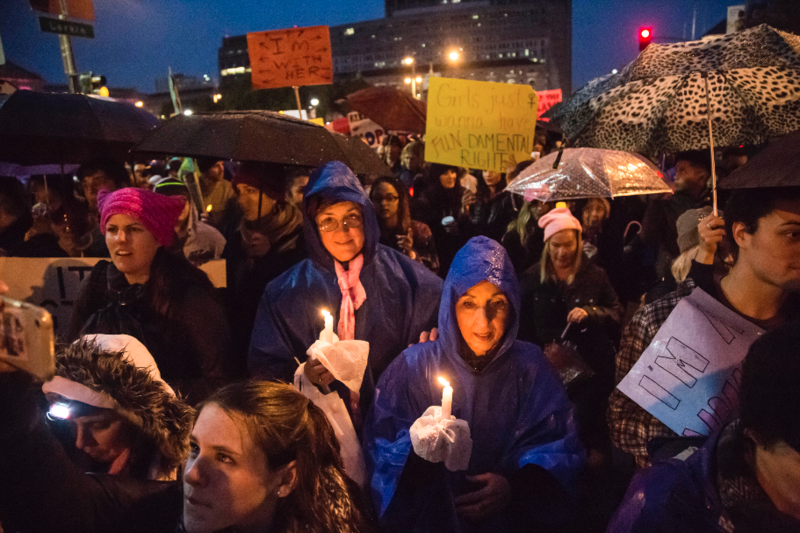 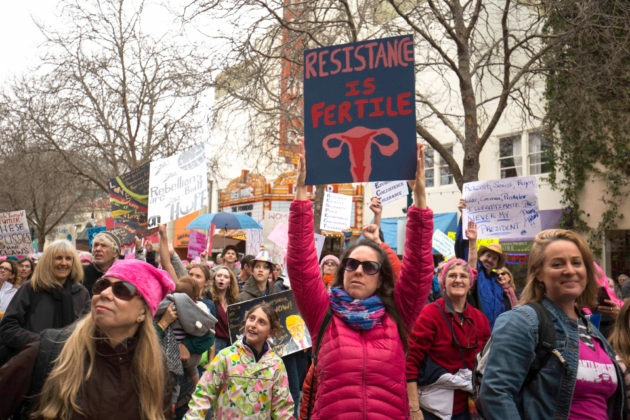 Last year, about 18,000 people gathered in Santa Cruz to march and advocate for women’s rights. 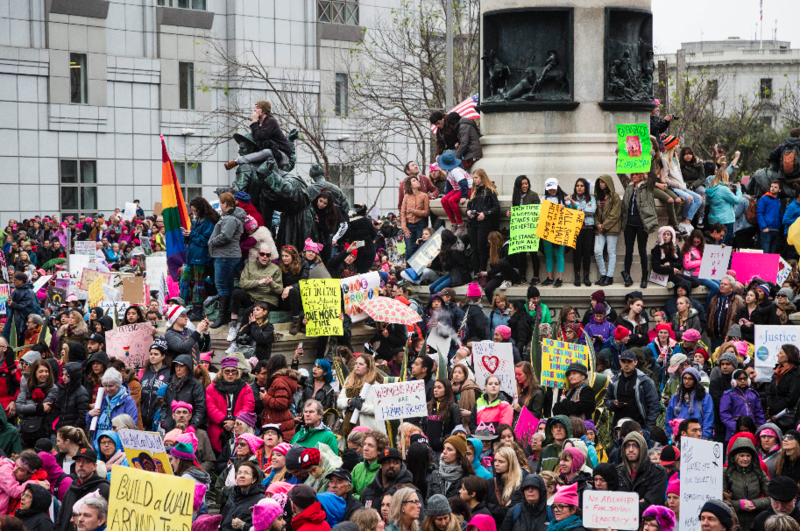 This was one part of the global Women’s March on Washington, which took place Jan. 21. 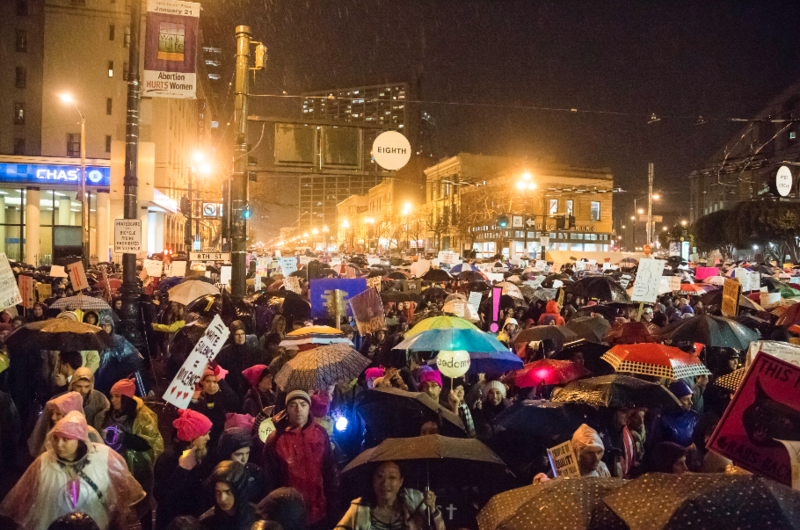 Approximately one year later activists will march again, continuing the fight. 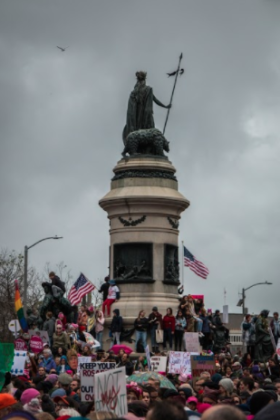 Photo by Owen Thomas. 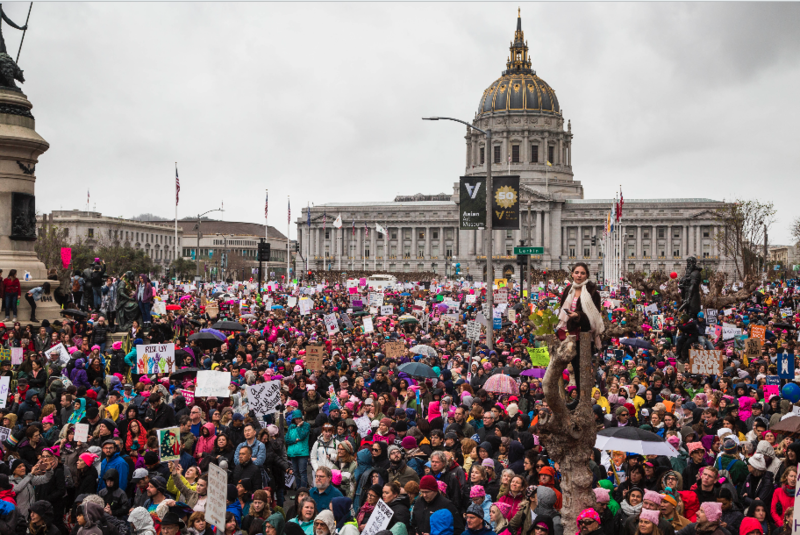 Millions of people, mainly women, came together to protest this one man, in the biggest recorded protest in history. On Jan. 21, in 673 cities, Women’s Marches were held to protest the inauguration of the new U.S. president. 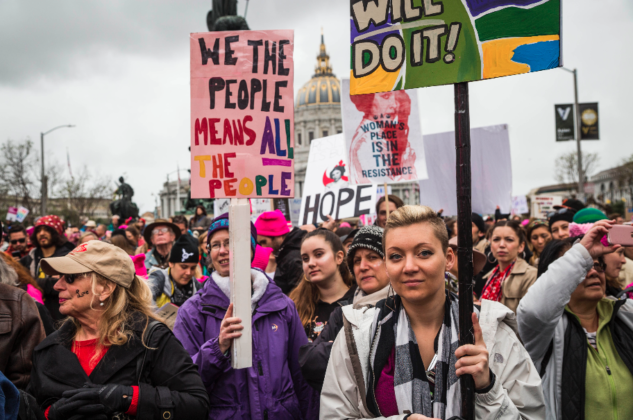 The march was part of a worldwide movement led by the Women’s March on Washington, in response to the rhetoric, values and agenda of the Trump administration. Across the world, millions of people peacefully demonstrated with intricate signs and pink hats. 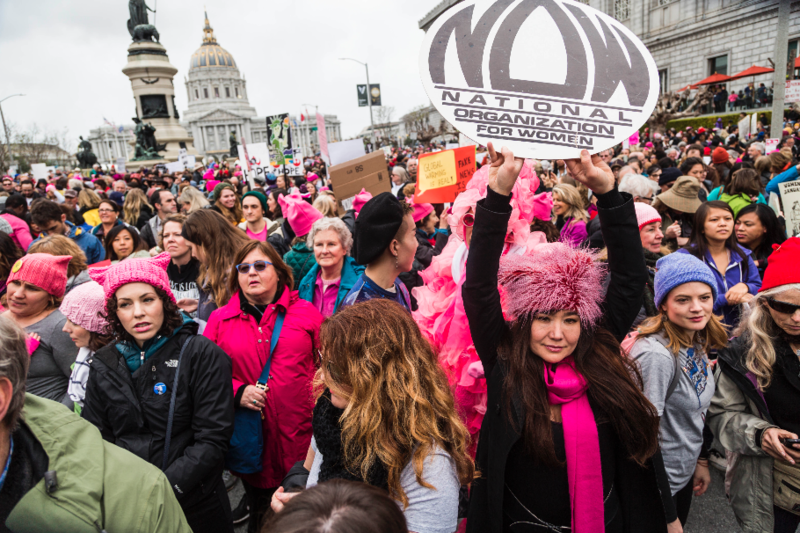 The march was about more than Trump’s rhetoric about women. 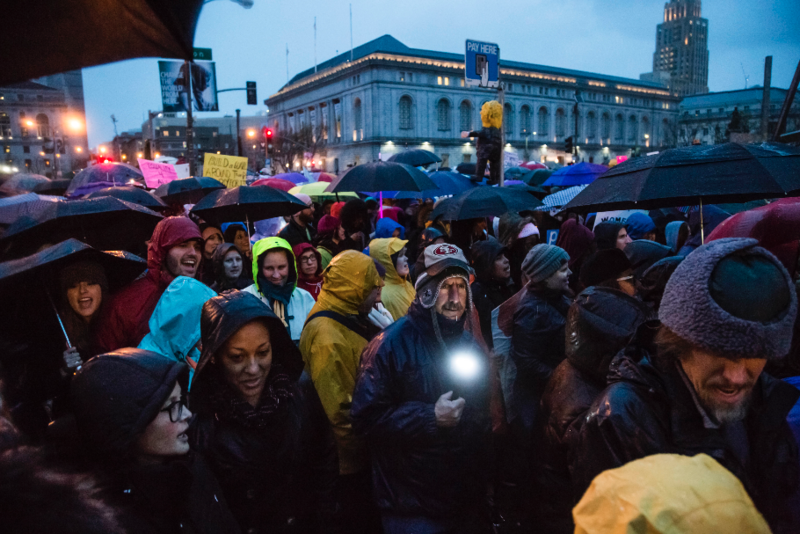 It was a protest for the rights of all vulnerable communities, including immigrants, people of color, those with disabilities and the LGBTQIA+ community. Just a day after the inauguration protests, the streets of downtown Santa Cruz were again flooded with protesters. About 10,000 people marched from City Hall down Pacific Avenue for the Santa Cruz Women’s March on Washington. 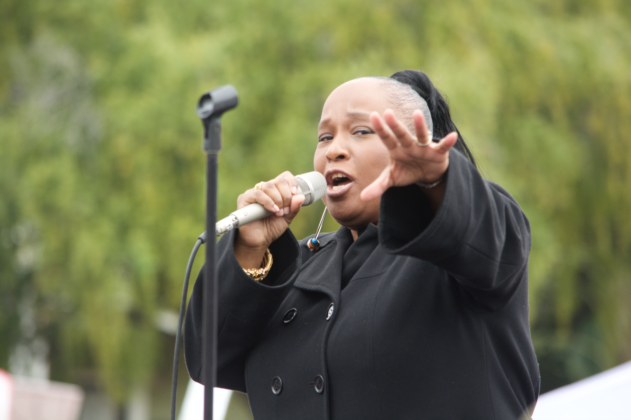 The march concluded in Laurel Park, where community organizers hosted an afternoon of performances given by local musicians and community speakers. 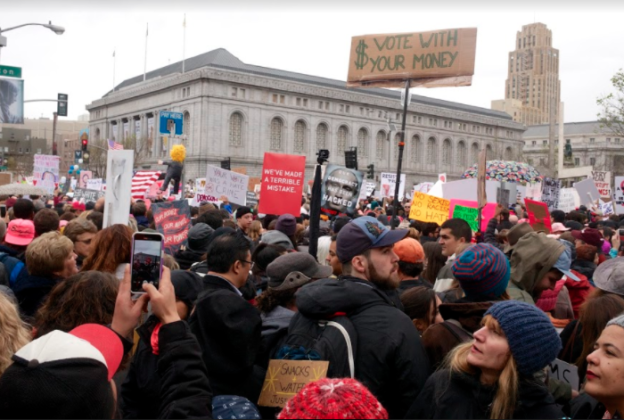 Protesters carried homemade signs as they walked alongside dancers and musicians. 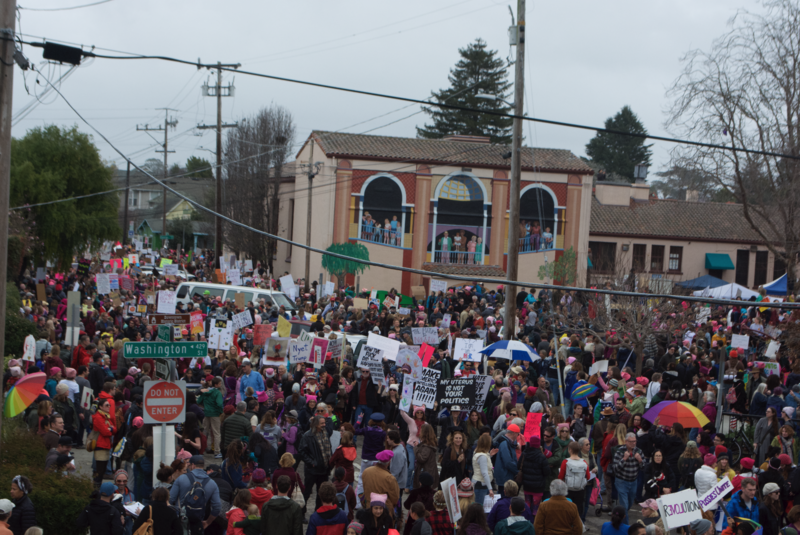 Cheering and chanting erupted as Planned Parenthood workers stepped out of work to wave from a balcony on Pacific Avenue. City officials and the march’s organizers were surprised by the turnout — Mayor Cynthia Mathews said she expected 500 people. 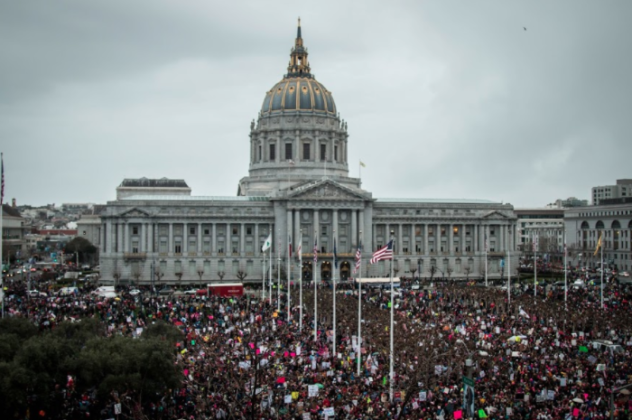 “I had no idea how this was going to be, what the attendance was going to be. 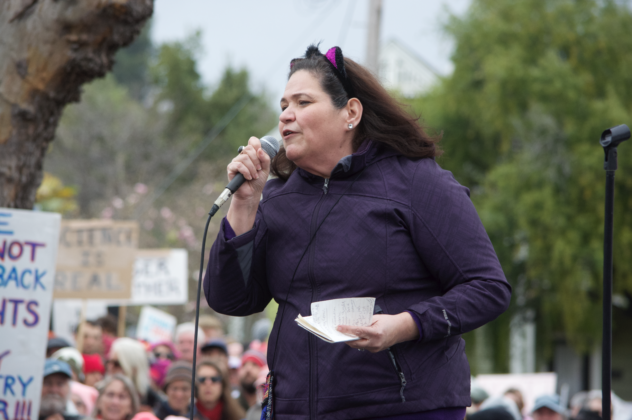 I am in awe and I physically have a reaction of amazing hope,” said the executive director of the Community Action Board of Santa Cruz County (CAB) MariaElena De La Garza. 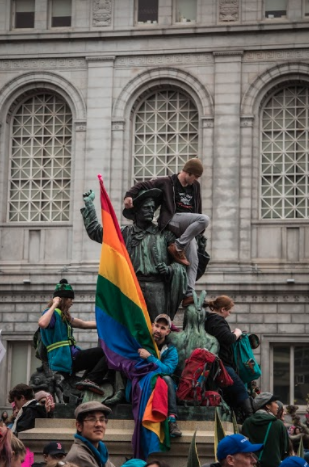 Representatives from CAB stood on stage and thanked protesters. They spoke passionately about supporting and engaging with local organizations in Santa Cruz County. 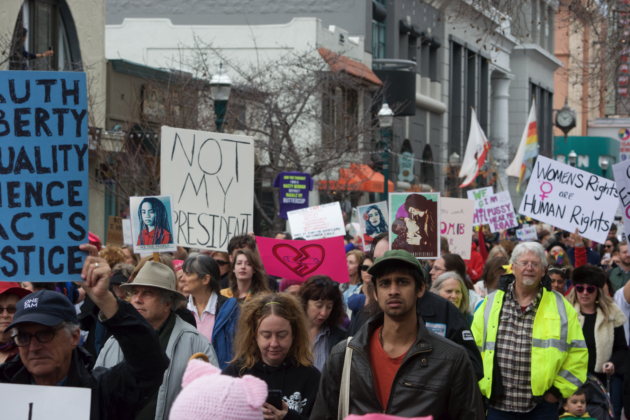 The rally continued in the Louden Nelson Center, where rooms were filled with local organizations whose causes are threatened under President Trump and his administration. 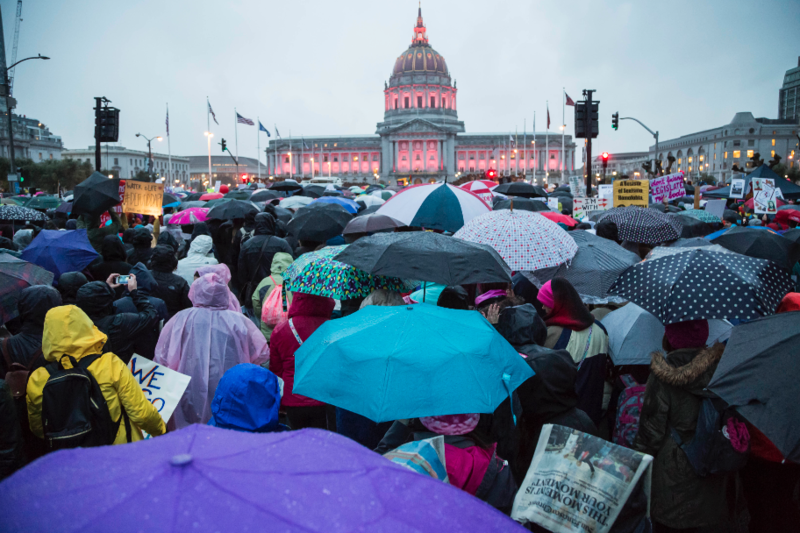 Planned Parenthood, which has been in the spotlight in recent months after Trump claimed he would deny it federal funding, was one of the many organizations represented. However, the rights at risk for Planned Parenthood were not the only ones discussed. 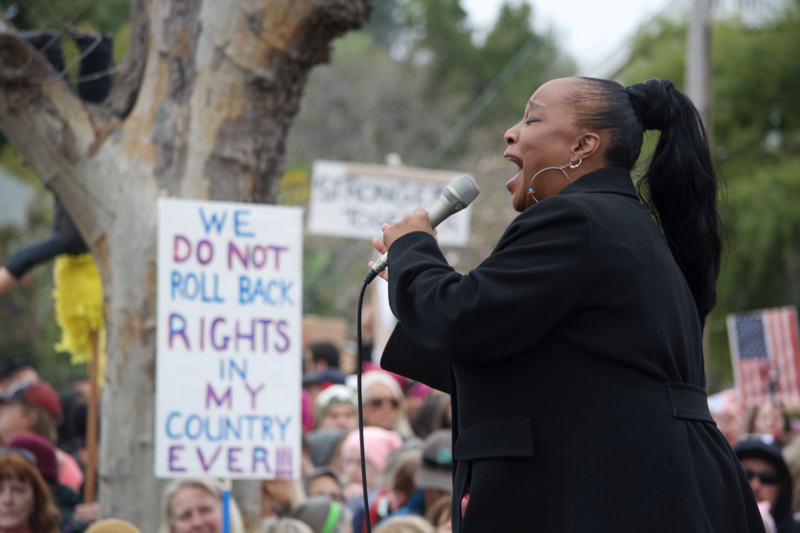 Other issues, such as immigration rights and environmental policy, were referenced throughout the day. 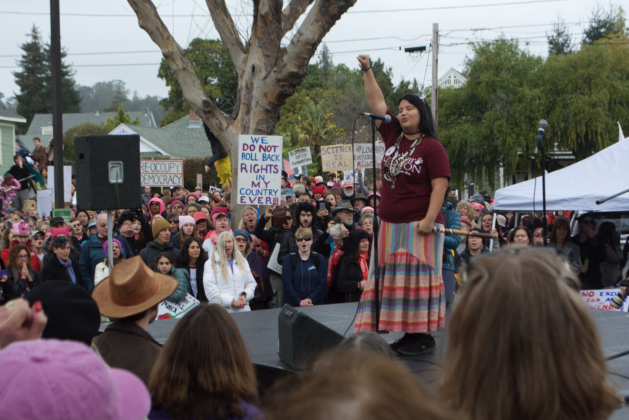 While the march was born out of defiance, its success instilled some hope in Santa Cruz. 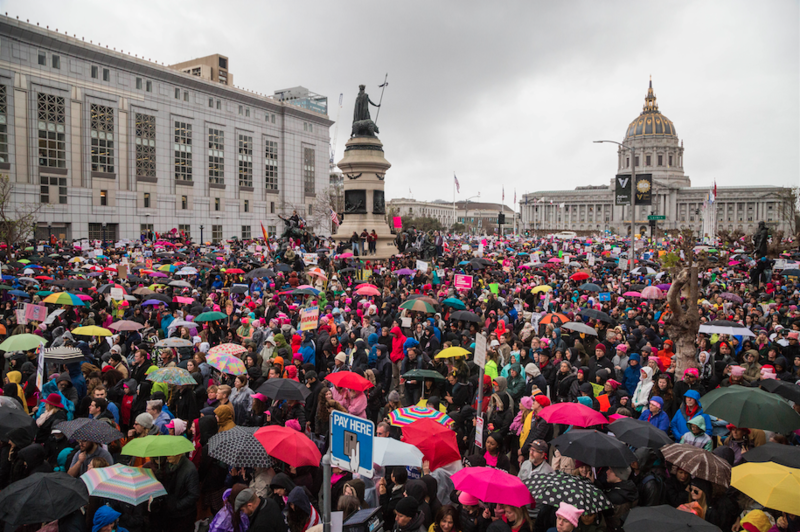 A sea of colorful umbrellas bobbed up and down, shielding the crowd in the San Francisco Women’s March from the rain as 100,000 people danced and chanted before marching about two miles down Market Street. 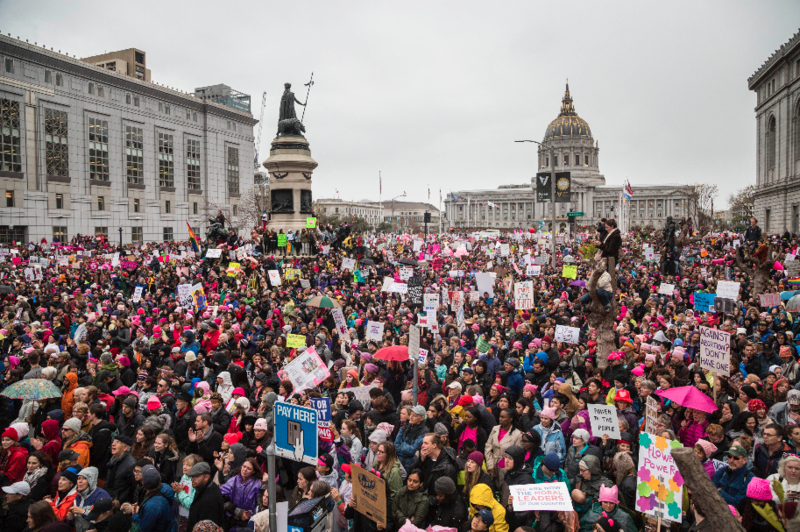 These people, mostly women, were celebrating despite the current political unrest. They came to resist and stand against a Donald Trump presidency. 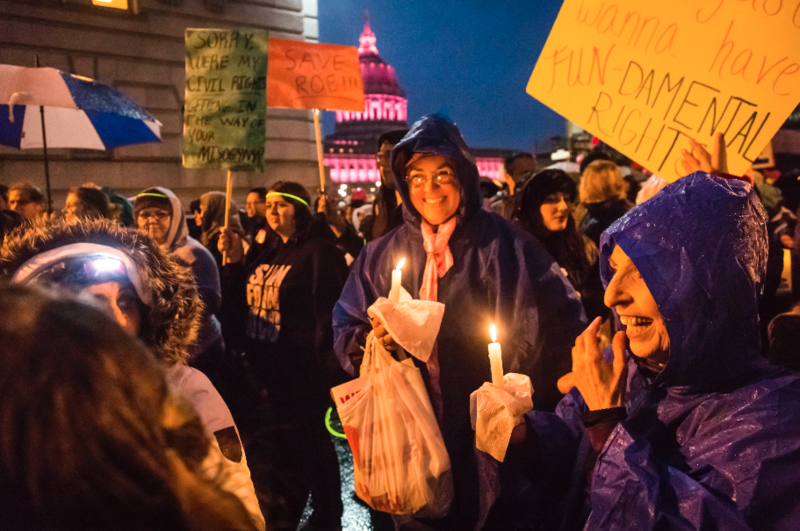 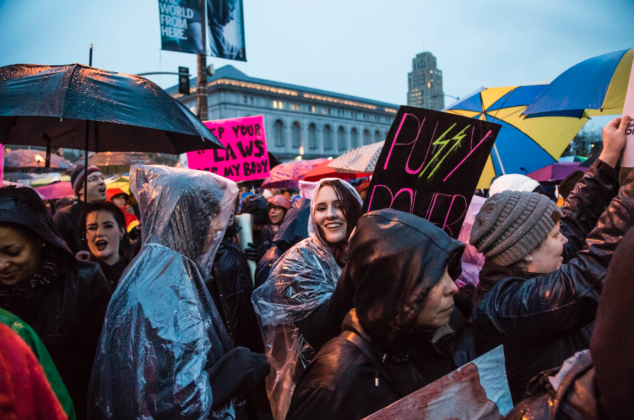 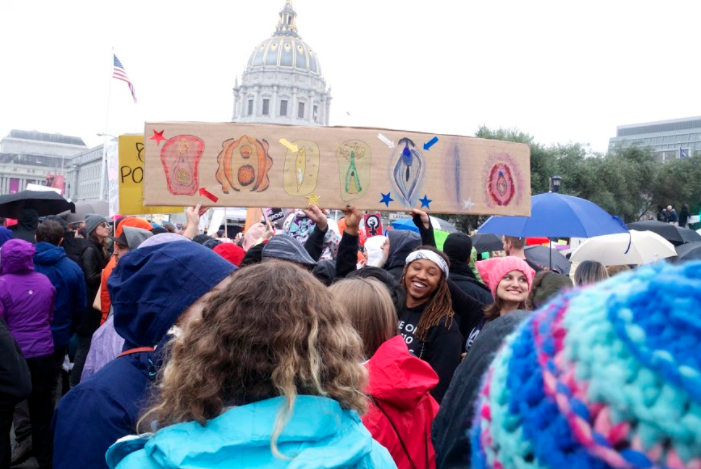 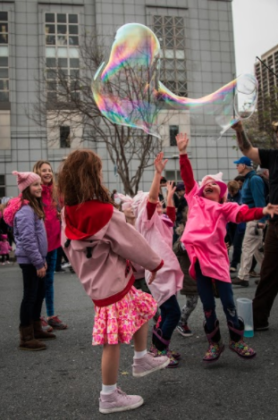 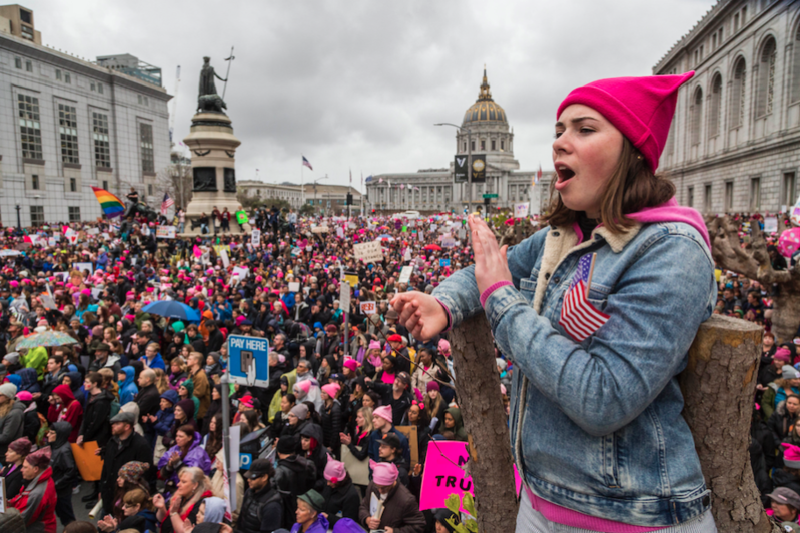 The San Francisco Women’s March included mothers, daughters, undocumented immigrants, LGBTQIA+ community, people of color and many others who were hurt and angered by Trump’s election. 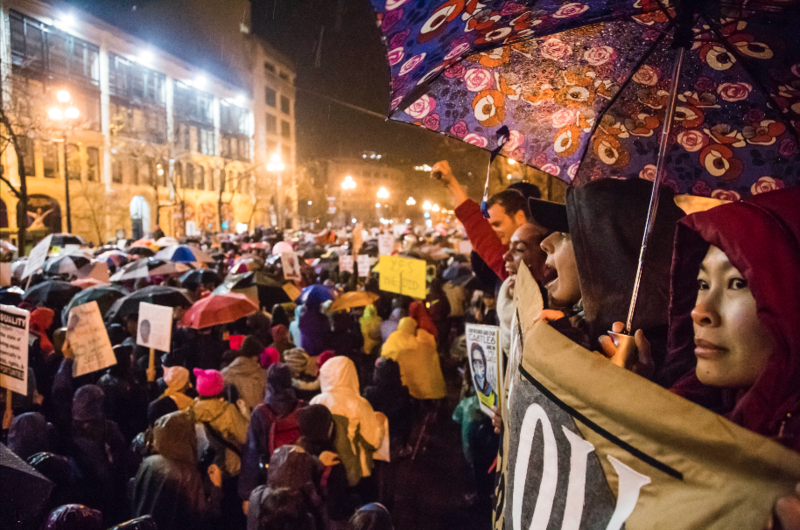 The march was an expression of identity, and about uniting in a physical space to demand political change. Some attendees admitted they were usually passive in politics, but felt with the current national discourse they had no choice but to protest. 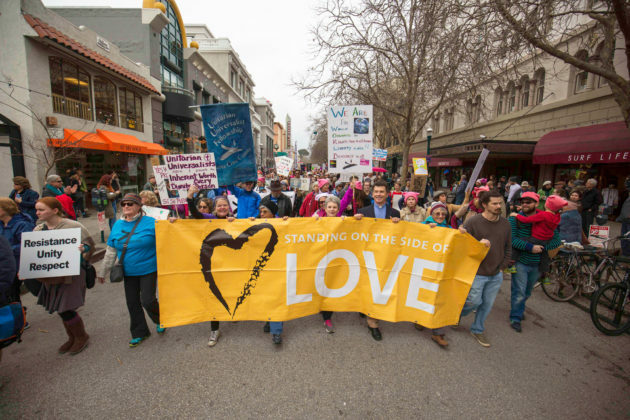 Others had a history of political activism, like Kathy Vite, who attended many LGBTQIA+ parades. She was active in both the Obama and Clinton campaigns, but even with her experience in political engagement, the amount of people at the Women’s March was unlike anything she had ever seen. 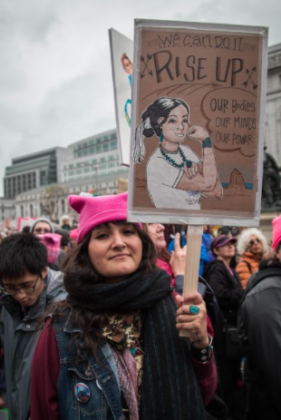 For sisters Jennifer and Monica Chinchilla, the protest was a time to organize and mobilize for intersectional causes, like immigration reform and reproductive rights, that are already being affected by the Trump presidency. Additional reporting by Savanna Heydon.